This is the first, but certainly not the last demonstration. This is what member of the coordinating group of the #sutNikol (#liarNikol) initiative Artur Danielyan declared as he touched upon the initiative of covering the streets of Yerevan with graffiti reading #SutNikol during an April 15 press conference. “Since we are approaching the first anniversary of the launch of the process of overthrow of constitutional order and usurpation of power, my friends and I wanted to show some people that there are still hotbeds of resistance to Armenia’s statehood. 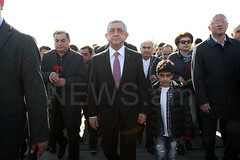 Today, we are joined by several citizens of seven cities of Armenia, as well as our followers and supporters," he said. According to one of the initiative’s members Narek Samsonyan, they have called the initiative #sutNikol because, according to him, Nikol Pashinyan came to power through lies and falsehood. “Pashinyan has started refuting 90 percent of the statements he has made. He started refuting his statements during the first months after he formed his cabinet. 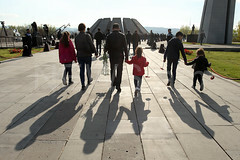 The public at large can already hear all the lies that the incumbent government has told, and the symbolic protest that we held on 1 April was aimed at showing the overall atmosphere of lies and falsehood in Armenia,” he said.